Berie had felt lost and out of place in her own life, so when she met Bay on the way to attend college for a future she didn't even want, it was easy to follow him. She joined the collective family that he was part of and became Harmony. There were no possessions, no relationships, no children, no sense of self separate from that of the Ash Family, which was led by Dice. Dice was charismatic and held sway over them all. This is an interesting concept for a plot and a wonderful first novel. I don't like Berie, and as a weak-willed character practically asking for others to tell her what to do and how to think, she's not the usual character I prefer to read about. But there's a fascination here, and the way her thoughts twist about and bend under others' points of view is brilliantly done. There are also important questions hovering around the edges of the novel and Berie/Harmony's consciousness: what lengths should people go to fight off conglomerates intent on destroying nature? What makes up a family? What is the best balance between individuality and communal living? 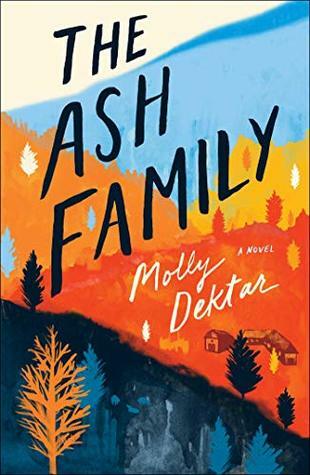 I never really connect well with Berie because while she's the reader's way into the collective of the Ash Family, she doesn't really affect change. Others affect her, push her, change how she thinks about the nature of the real world and what her purpose truly is. I feel almost as if she's an unreliable narrator as a result, which is a really tricky thing to pull off well. Here, it's not necessarily Berie's fault, but that everyone around her is willing to lie to get what they want from her. Their pasts are stories that change depending on who tells it or are actively being rewritten because Dice tells them that there's no point to living in the past. This aspect of Berie never really changes from the beginning to the end of the novel, so it almost feels unfinished in a way. There is a lot that happens over the course of the novel, and it draws me in throughout all of it. I'm just not sure I like anyone in the book at all. Oh I am SO glad to finally read a review of this one! I was curious about it, the premise sounded good, but I was on the fence. And now I think I am going to have to pass. I really am not good with books where I cannot like any of the characters, and it sounds like these characters were quite frustrating! Great review! !